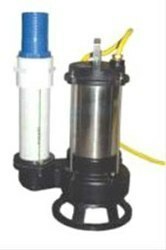 Providing you the best range of 2 hp flow-chem suech pump, 3 hp sewage submersible pump, 10 hp sewage pump and 15 hp submersible sewage pumps with effective & timely delivery. Outlate Size In Inches - 2"
Drainig sewage water from hotels,houses,commercial building,complexes,etc. 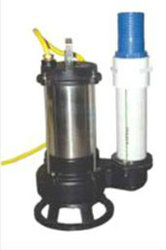 Pumping waste water in industries. Pumping sewage water from & manhole sewer. Sewage treatment plant.Pumping municipal sewage water. Septic tank. Leather factroies. Outlate Size In Inches - 3"
Outlate Size In Inches - 4"